Friends, family, lovers, weddings, holidays or a precious memory you wish you could hold on to forever.. 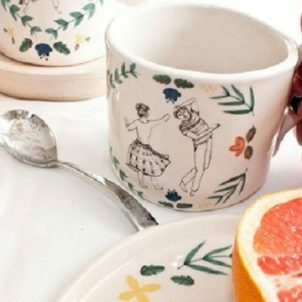 I hope you have bunch of reasons to get excited about today’s themed post and get yourself and/or your loved ones eternalized in something especially made for you. 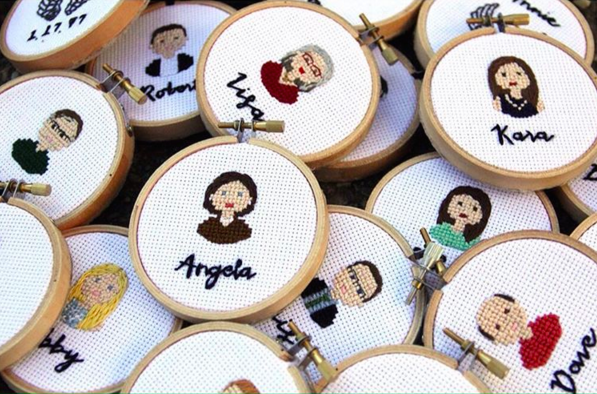 From pencil to paint, thread to paper, there are many creatives out there who dedicate their talent on custom made portrais. In this post I’ve listed 5 of my favorites. Surely there will be one that fancies your style! 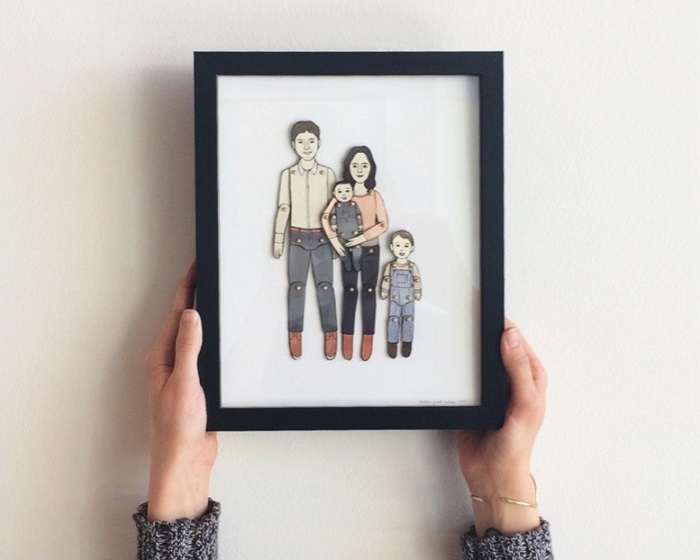 Up to the tiniest detail, Brittani creates beautiful portraits on request using nothing but colorful paper. 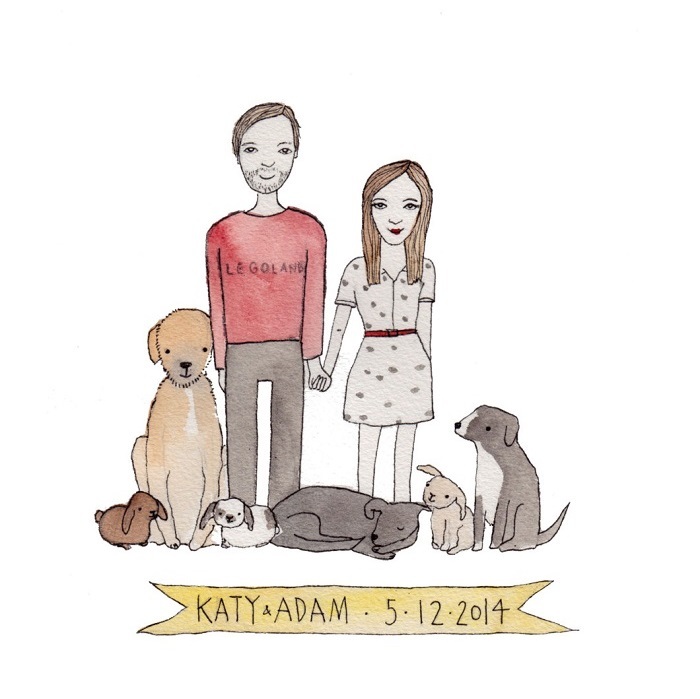 She started off her brand two years ago with a personal family portrait and now has an incredible portfolio of people, pets, wedding days and many more, all in that same adorable style. 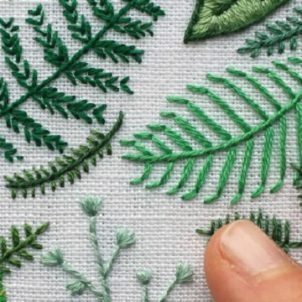 You’ll find some very nice work-in-progress pictures on Instagram on which you can discover how incredibly detailed her works are. Get your custom portrait here. 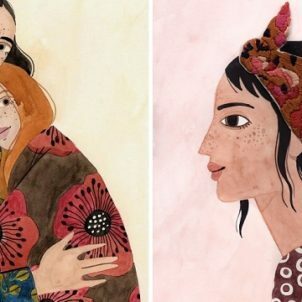 Jess Racklyeft is a Mebourne-based illustrator who captures memories and moments with pencil, black ink and layers of watercolor. Jess has a passion for images from childrens books and will always try to capture the playfulness and cheecky characters of her to-be-drawn characters. Pets included! 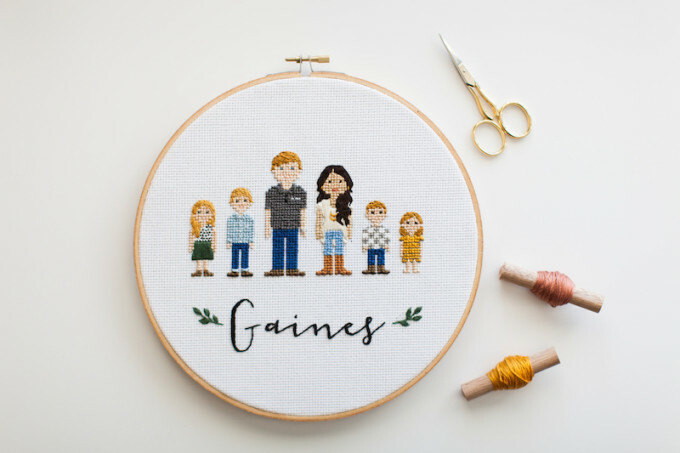 Carrie Burch is an art school graduate and founder of the brand Stitch Folks, from where she embroiders portraits, quotes, logos and really all kinds of things that might cross her path. She loves working on commissioned projects and always chalenges herself to capture as much details as possible. For Carrie, it’s those details that matter the most, as they reveal uniqueness in each of the characters she creates. Note: Carrie is not taking custom orders at this moment as she is currently on vacation. But if you sign up here you will receive a note when she is back! Viva la romance! 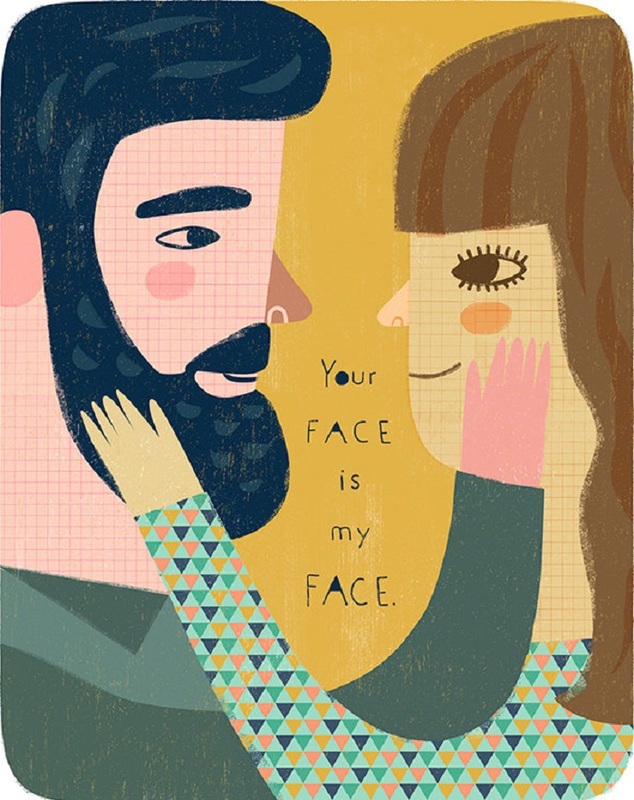 I’m a big fan of Sarah Walsh’s colorful illustrations and love this whimsical lovers portrait. If you like it too, Sarah can make it look more like you and your favorite person. Wouldn’t that be the most adorable gift ever? Of course, that loving person can also be a family member of friend. 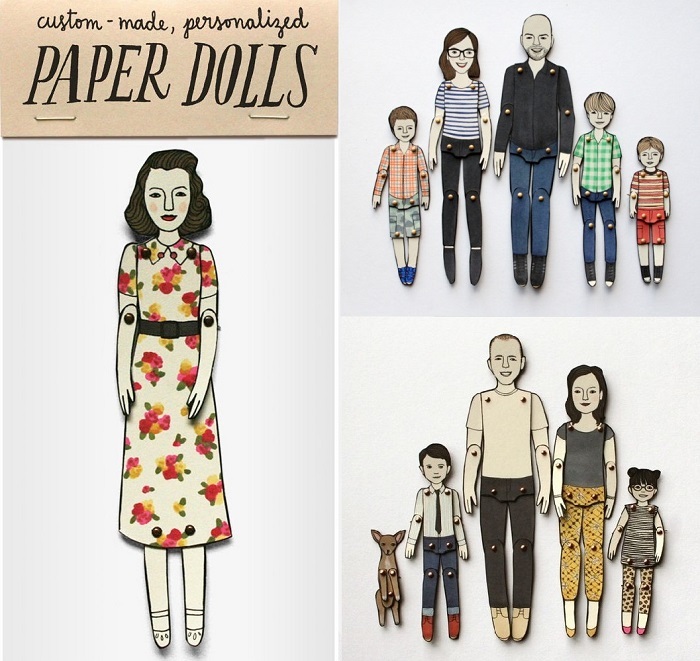 Ever thought about getting yourself and your loved ones eternalized as… paper dolls? 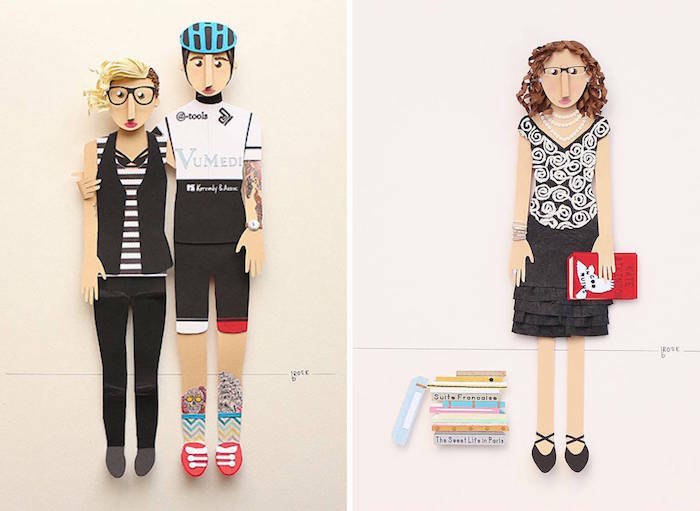 North Carolina-based illustrator Grace Owens is just the person to get the job done. 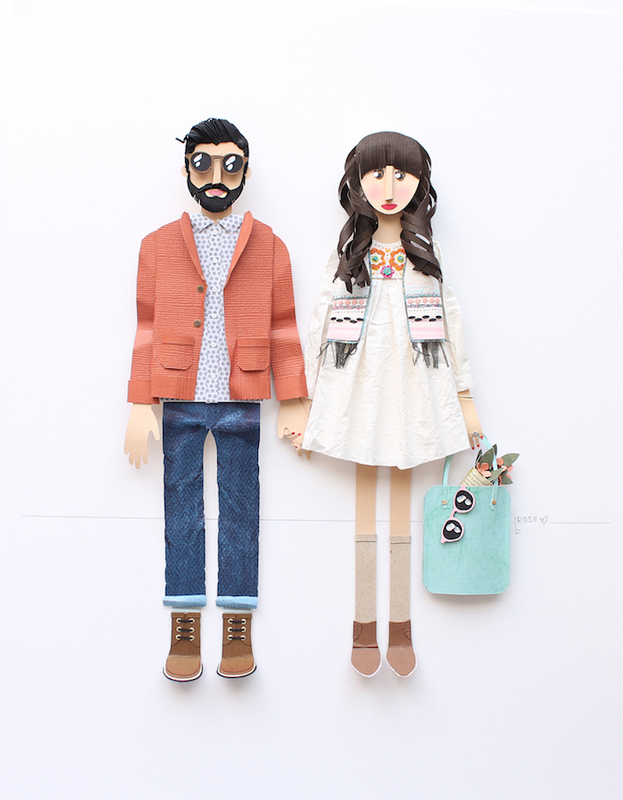 She’ll make you look all cute & quirky, just like the folks above. The arms and legs are attached with little pins so you’ll even be able to move your doll-self around! Ger your custom portrait here.